The answer is pretty easy. Simply enter the National Rally by paying the higher entry fee(that’s all that’s required) and simply finish. Seriously that’s all you have to do. Enter the rally and drive casually to the finish and you podium, spray champagne, and a get a National trophy. Take a look at the Ojbwe Forest Rally that’s running this weekend. There are still two stages left and every podium spot except 2WD has already been decided. And not because the leaders are so far ahead of the competition, but because there is no competition. There are only three cars left in Open Class, Three Cars left in Super Production, and One Car in B Spec. Take a look for yourself. I don’t mean to detract from the guys driving their heart out in the National Rally. The reason you can simply enter a National Rally America event and podium is because there are not enough entries in the National Rally anymore. There’s no point to entering National when you can simply enter the Regional for less than half the price. The only difference between the National and Regional is the entry fee and the technically the Regional is split into two days allowing you to win two different events. I guess there is one other difference, your results are easier to find on the Rally America website. Otherwise the National and the Regional are identical. Same stages, same mileage, same everything. Except you can tell your sponsors you took a podium at a National Rally which seems to be the case for anyone that didn’t have a mechanical problem and drove safely through the stages to avoid crashing. 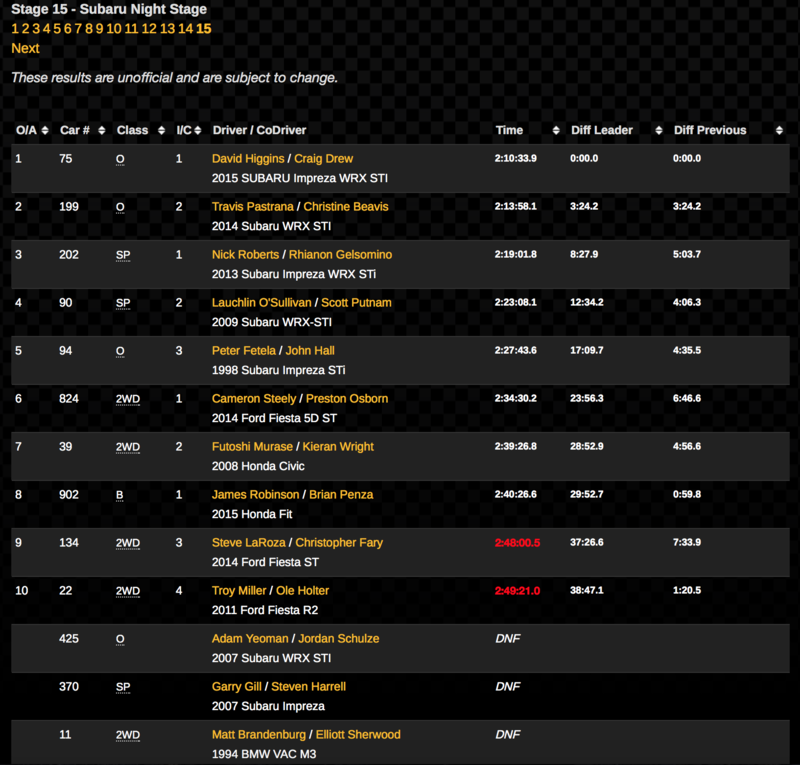 That’s how you podium at Rally America. Write the check, don’t crash, spray champagne. The real bummer is the guys on the podium are fast and drive really well. They just have no one to race against. Isn’t this exactly how you “won” all of those rallies? I only won the national at LSPR in 2009 which had a lot of 2wd entries, the rest of the time I enter regionals. I finished 3rd in Mexico for two years and 2nd at Targa Newfoundland behind ACP on his 7th or 8th run up there meaning he had pace notes and we had tulips. 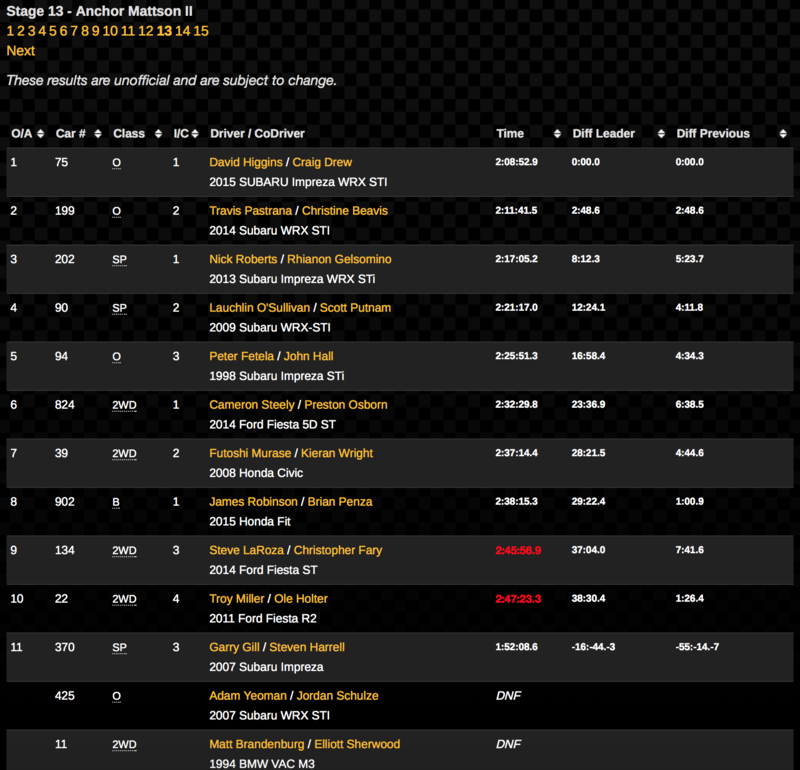 2nd was my best finish racing for Crawford Performance in time attack in his 500hp BRZ. But it was in a way how I won a trophy at the 6hr race at the Nurburgring. There were only a handful of cars in our class so it wasn’t that tough, but my times were decent. At least I was racing at the Ring. I noticed you posted anonymously…What have you done? 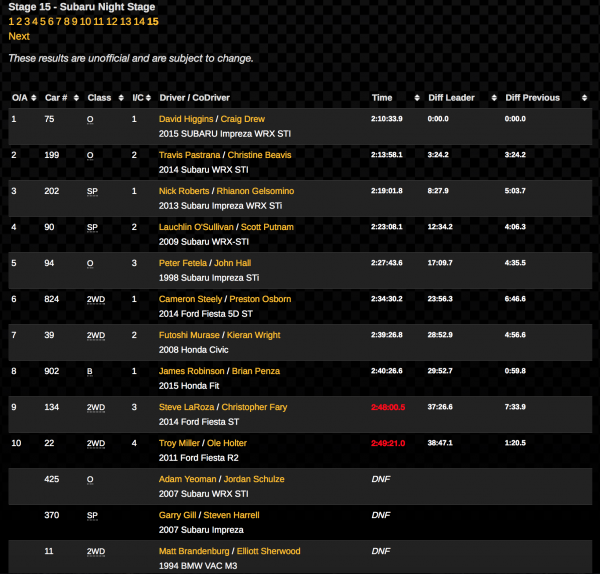 The other events I won outright were two 24hrs of lemons back to back. There were over 180 cars in each race, but it was lemons… Oh and I guess I used to win ITS class racing wheel to wheel in my e36 before I tried rally.